V. Prem Watsa (BT/CH/1971) is the Founder, Chairman, and Chief Executive of Fairfax Financial Holdings, based in Toronto, Canada. He is commonly known as “the Warren Buffett of Canada” for his exceptional investing skills and business acumen. He won the Distinguished Alumnus Award from IIT Madras in 1999. 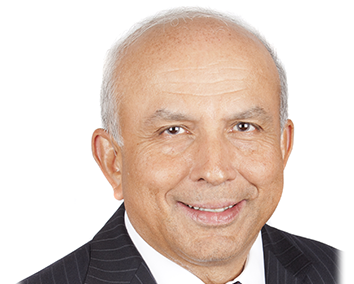 Prem Watsa shot into the news headlines recently, with Fairfax’s takeover of BlackBerry Ltd. in September 2013. Chennai36 now brings to you an extensive and exclusive interview of this great visionary. 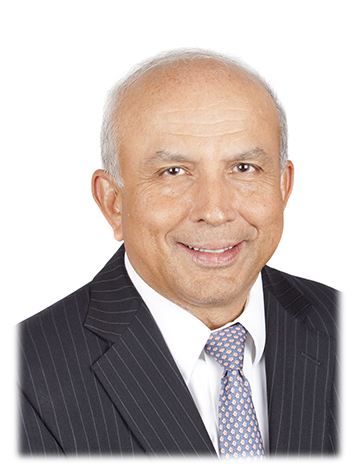 In Part 1, Mr. Prem Watsa talks about hockey, Inter-IIT, academics and his hostel life at IIT Madras; and the struggles and challenges he faced as an Indian immigrant in Canada in the 1970s. Please briefly describe your family background. My father was an orphan from Mangalore. He lost his mother when he was 3 , and then his grandfather when he was 12 . He was one of four children, so his other siblings were sent to live with various relatives. However, he went to school and was an active sportsman, did his Bachelor’s degree and became a teacher at Madras Christian College. He later, went on to become the Principal of Hyderabad Public School. I was the third of the four children that he had. My father always emphasised education, and gave me my grounding. After high school he encouraged me to write the entrance exam for IIT. How did you first hear of IIT-Madras back in the mid-1960s? It’s a funny story. IIT Madras was in its infancy, but was already getting very popular. I first heard of it in school. I wrote the first exam, and scored only about 8/20 in Math. Despite this, my dear aunt forced me to write the other papers as well, the second of which was English and the third Chemistry. I was pretty good at Chemistry, and that is why I decided to study Chemical Engineering. How was the hostel and academic life in your time, and what were the extra-curricular activities you were active in? IIT Madras has always been a great place, and provided a really good foundation. The five years that I spent at IIT Madras were undoubtedly the best years of my life. I was young, only about 16 years old when I joined. I was in Alakananda Hostel in my first year, Ganga in my second, and Jamuna for the final three years. I was the Sports Secretary of Jamuna Hostel, and also later the Institute Sports Secretary. I used to play hockey for the institute, and also quite a lot of table tennis. 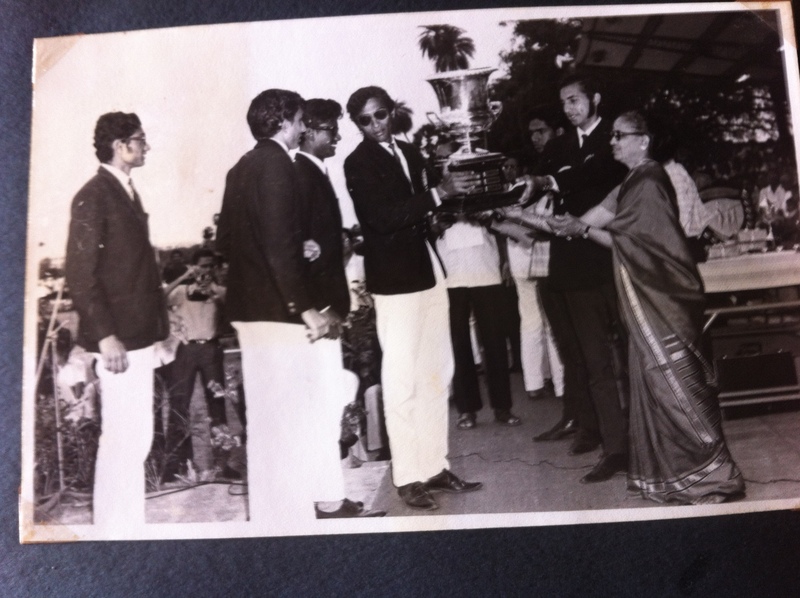 In fact, IIT Madras started winning the Inter-IIT trophy during my tenure as the Institute Sports Secretary. Before that, it used to be dominated by IIT Delhi and Kharagpur. This victory also marked the beginning of IIT Madras’s ten-year winning streak. The Warden of Jamuna Hostel, Dr. Anantharaman, was a wonderful person. It was his encouragement and his guidance that encouraged us to prosper. The Inter-IIT experience was truly awesome. We organized an intense training camp with coaches for over two weeks, to train and prepare. We all wore blazers to the closing ceremonies and that was the first time I wore one. The institute’s student publication, “Campastimes”, once ran a headline mocking my talk of winning the Inter-IIT, calling it “How to win without really trying”. But we went ahead and actually won it! We continued winning for the next ten years after that. It was a real boost for everyone. It taught us that you could achieve something that hasn’t been done before, if one is confident and committed enough to do it. Sports is still very much an active part of my life – I now play golf, tennis and the occasional game of table tennis. I have a summer home in Toronto, where everyone in our family gets to compete in a tennis and table tennis tournament. We even award a small trophy to the winner! I got used to writing exams. We used to have periodical tests – every Monday, Wednesday and Friday, this was the rigour of the German system. However, this helped us work under pressure – and because of this we could virtually pass any subject with just two or three days’ notice. I didn’t get a Distinction, but managed to secure a First Class in my final exam. As I look back, it was the sports as well as academics which made me a lot more well-rounded. Also, in my final year, I used to go outside the campus often to meet my fiancé, Nalini Loganadhan, who was then a student at Stella Maris College. Meeting her and getting married to her was one of the best things that ever happened to me. I had a really good set of friends in my hostel. Me and my friend, Victor Pais, used to run a small convenience store, where people used to come to buy coffee, tea, snacks, chips and soft drinks. Saturday movie night at the OAT used to be fantastic, we would come back after the movie and open the store to cater to the crowd. However, we were pushed out of business when Narmada hostel got a small cafeteria nearby. In our final year, we conceived and started an award to recognize excellence in our hostel called the Jamuna Blues (inspired by the Oxford Blues). Since I was the Institute Sports Secretary then, and Victor the Students’ General Secretary, we (not sure how) were the first recipients of the Jamuna Blues. Those were indeed fun days. In what way has the IIT Madras experience helped you in your future career, and what inspired you to follow a career in business and investing in Canada after studying Chemical Engineering at IIT Madras? An engineering education allows you to get into virtually any field. I didn’t really take a fancy to engineering very much, so I decided to pursue a career in business and management. Business was not very valued in India in those days; it is a lot better now. I decided to apply to IIM Ahmedabad, as its graduates got good jobs, and it had a great reputation even then. However, I didn’t make it the first time. So I worked at a pharma company called IDCL in Hyderabad for a year, studied harder, applied again and got it on my second attempt. However, within a month of me joining IIM Ahmedabad, my elder brother had married a girl from England and had moved to Ontario, Canada. My father then asked me to follow suit and join my brother in Canada. I decided to take his advice, quit IIM Ahmedabad after a month and moved to London, Ontario and joined the MBA program at the University of Western Ontario (later known as the Richard Ivey School of Business). I was a poor immigrant in Canada then, with very little money for even basic expenses. I used to spend only 50 cents or so on lunch, and felt that people around me, who spent $3-4 dollars, were extremely rich in comparison. Also, I was a new immigrant, while everyone else around me were well established Canadians. I sold air conditioners and furnaces door to door to pay for my MBA. It is under these circumstances that I discovered opportunity – you tend to discover skills you never knew you had before. You tend to work harder, because you’re at the bottom and the only way to go is up. Canada is indeed a wonderful place and there are absolutely no limits as to what you can do and achieve. It is no wonder that lots of Indians, many from the IITs, do really well here. Please find Part 2 of Prem Watsa’s interview with Anirudh Srivatsa, Editor of Chennai 36 here.